This is Eloise. She is the face of The Dog Chapter at Bookends Farm. Eloise came to live at Bookends Farm when she was a year and a half old. She had a different name then and her people decided she wasn’t happy living in an apartment and spending a lot of time in a crate. They were right. They contacted a woman named Pauline who worked with Russell Refuge (Pauline now has her own rescue called Jacks Galore!). I was looking for a snugly little girl and so Beetle and I went down to meet her. She did not try to take Beetle’s tennis ball away from her so he said it was ok if she came home with us. We named her Eloise because everyone at Bookends Farm and The Dog Chapter has a book themed name- she is named for Eloise in the children’s book…a wild haired little girl. That Eloise lives in the city at the top of the Plaza Hotel. This Eloise came to live on a farm. The other thing about everyone at The Dog Chapter and Bookends Farm is that we use Clicker Training and Positive Reinforcement to do all our training. And that is what this blog will be about. I’m Jane, by the way. I will be sharing stories of how Clicker Training and Positive Reinforcement work to be the best training we can use for our friends. 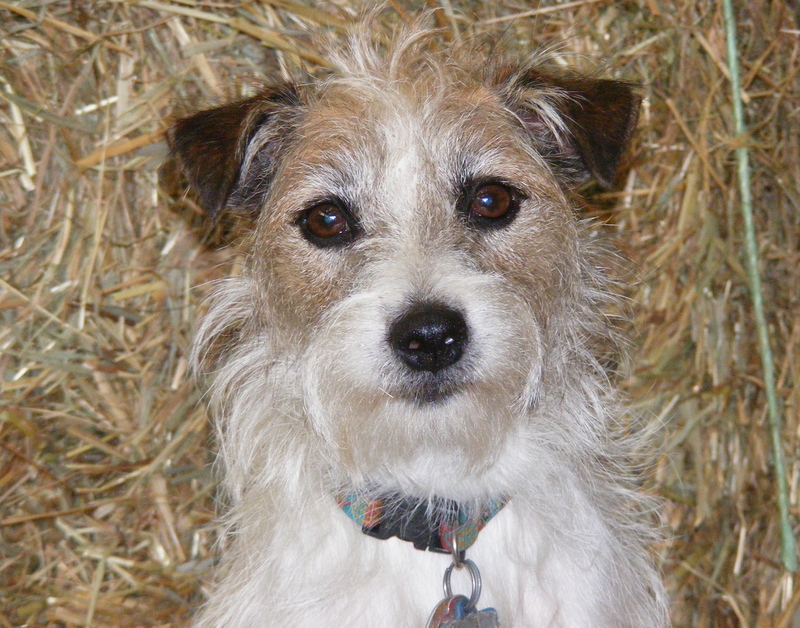 Posted bybookendsfarm March 17, 2014 March 17, 2014 Posted inIntroductionsTags: Bookends Farm, clicker, Clicker Training, Dog Chapter, dog training, positive reinforcement, Russell Refuge , Vermont dog trainers2 Comments on Meet Eloise! The Dog Chapter at Bookends Farm, Create a free website or blog at WordPress.com.